While the USA abhors the very notion of "profiling", Israel has been using it to successfully keep terrorists off its airplanes for years. The USA's "TSA" randomly decides who to check, resulting in excessive security checks for all sorts of people -- including infants and elderly -- who have never hijacked an airplane. What a waste of time, energy and resources. In 2006, the Boston Globe praised Israel's security, and what the USA could learn from Israel, yet that was 4 years ago, and not much has changed. There have been more terror attempts -- all of them from Muslim Extremists. No sensible person imagines that ethnic or religious profiling alone can stop every terrorist plot. But it is illogical and potentially suicidal not to take account of the fact that so far every suicide-terrorist plotting to take down an American plane has been a radical Muslim man. It is not racism or bigotry to argue that the prevention of Islamist terrorism necessitates a special focus on Muslim travelers, just as it is not racism or bigotry when police trying to prevent a Mafia killing pay closer attention to Italians. Of course most Muslims are not violent jihadis, but all violent jihadis are Muslim. ``This nation," President Bush has said, ``is at war with Islamic fascists." How much longer will we tolerate an aviation security system that pretends, for reasons of political correctness, not to know that? Unfortunately, Israel has been dumbing-down when it comes to "ordinary" security -- such as terror on the roads. Israel's Ivory-Tower-based Supreme Court ruled against the IDF, that the Modiin-Jerusalem highway 443 must be opened to Palestinian vehicular traffic. At the start of the most recent Intifiada in late 2000, the 443 highway became a shooting gallery -- as Palestinian terrorists shot up Jewish cars indiscriminately, killing men, women and children. 443 became a ghost road -- and I vividly recall driving the road wearing a bullet proof vest on my way home from work in Jerusalem. Only after the IDF created alternate routes for the Palestinians, prohibited Palestinian traffic on 443, put up sentry points everywhere and beefed up patrols, did the road become safer again and the average Israeli motorist returned. Safety of tens of thousands of Israelis...that's not an issue that should bother Israel's Supreme Court. 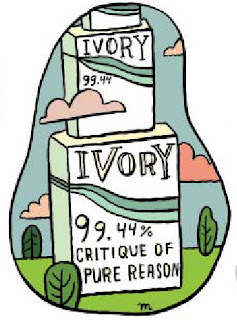 Their Ivory Tower isn't located anywhere near road 443. The IDF knows what needs to be done for security, just as we know what needs to be done for airport security. The way things are going now, its only a matter of time before our Supreme Court changes our airline security screenings process as well. When you’re young, naive, without baggage, less critical and judgmental, and everything else, marriage is an easier decision to make, but as the years go buy, the older you get, the more difficult it is to decide and commit. Just like one can end up single forever, one can end up in America forever – always rationalizing it away. I have a bunch of very painful posts in "draft mode"...so I'm happy to present this one in the meantime. This is why you come to the Muqata -- for quality stories like this. Hadas and Tzachi Medina from Yavneh planned their wedding down to the smallest detail, together. Yet, they never imagined that minutes before their wedding, the bride's wedding ring would go missing. The ketuba was prepared and signed, and the bride wanted the ceremony to begin...when they realized the ring wasn't on its pillow (where it was supposed to be for safe keeping). The drama ensued during long, anxiety laden minutes at the "My Space" wedding hall in Yavneh, as the couple and their families frantically searched for the missing ring. The bride tried to keep from crying, as she didn't want to mess up her perfectly done facial makeup. The officiating Rabbi tried to buy time by starting to sing. 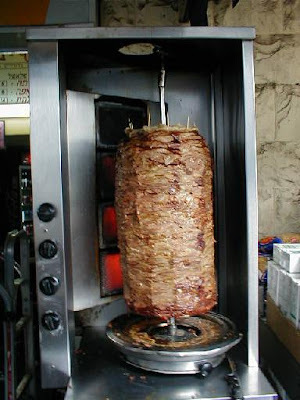 Just when the nervous bride was about to burst out in hysterics, a waiter who was serving food from the smorgasbord found it -- in the middle of the shawarma he was cutting. 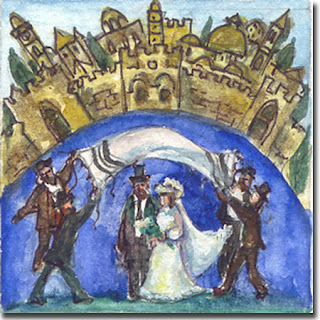 No explanation was given how the ring ended up in the shawarma, yet everyone was relieved -- and the wedding of Hadas and Tzachi continued without a hitch. sourced from NRG in Hebrew. Michael Oren: "I haven't been waterboarded yet"
US President Barack Obama has not, during his first year in office, exerted any real "physical" pressure on Israel, nor does he see that as a goal, Israel's Ambassador to the US Michael Oren told The Jerusalem Post on Sunday. As if flying wasn't an already awful experience, yesterday's attempted terror attack is going to just push it over the edge. What's next for security measures? Drug all the passengers throughout the flights to keep them sedated and in their seats? Regular strip and cavity searches for 80 year old ladies? Do you really want to fly anymore? Unfortunately, it all too often seems that governments (besides Israel) either don't get security, or don't want to get security. The US was aware of yesterday's terrorist. The US was warned of him by the man's own father who grew concerned with the ideological direction his life took after learning in Britain's schools (a breeding ground of Islamic extremism and anti-Semitism, for sure). But the data wasn't "concrete" enough to set off warning bells or put up alerts on the no-fly list, so his name wasn't flagged when he tried to fly - even for an additional inspection. Instead the TSA and other international governmental agencies prefer to be politically correct, rather than safe - and as a result harass obviously innocent fliers (such as babies in their mother's arms) rather than those strangely acting people who look clearly suspicious to everyone else around them (and I've seen this myself). Now all travelers will now be forced to undergo even more time-consuming, inconvenient and far more intrusive searches. Another victory for the Islamic terrorists. If Israel had had that basic information, the man wouldn't have been allowed on the plane without a thorough questioning and search - if at all. As Muqata pointed out to me something he heard on the radio, the US spends 100% of their resources checking 100% of the passengers - wasting everyone's time. Israel spends 90% of their resources checking 10% of the passengers who are considered suspicious. Why? Because people blow up airplanes, not bombs by themselves. Terrorists will always find a new way to sneak a new undetectable weapon on board. But they usually have warning bells somewhere in their background that should light up like a Menorah. 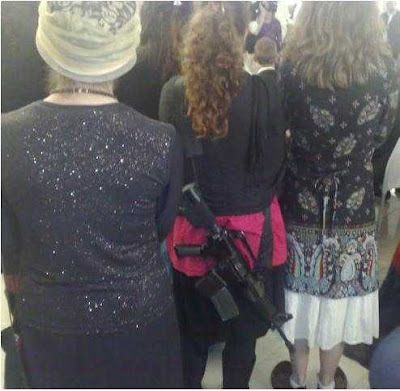 And that's even why Israelis have been occassionally known to accidentally take weapons and ammo on to planes from Israel and the planes weren't hijacked or blown up. Because it's about the people, not the 8 ounce water bottle they are holding. Which does seem to be the point of it all. Member of Knesset Michael Ben-Ari is forbidden entry into the US, and Moshe Feiglin is forbidden entry into the UK. South Africa slams Israel for stringent security checks that are against South African law. And yesterday the US demanded explanations from Israel for killing 3 (of the 4) Fatah terrorists who murdered Rabbi Meir Chai last week (the fourth is currently being given protection by the Palestinian Authority). Israel may finally be getting back on track in terms of how to deal with terrorists in the field, while the US and the West still refuse to acknowledge who their enemy really is, and how to deal with them properly. (By the way, all 3 terrorists had previously been arrested by Israel and released in one of the revolving door confidence building measures constantly being demanded of Israel by the US). I really feel sorry for anyone that needs to fly during the next few months. In 2001, Esther David's son was severely wounded in a Arab terrorist attack. In 2003 (on her birthday), her husband was murdered by Arab terrorists. Shortly afterward, another son, who had Down Syndrome, died of a heart attack. Eight months later, Heftziba went bankrupt after she paid them 700,000 for an apartment they were going to build. This year, she finally had enough money to try building a home again, so once again, she paid the contractor. But as soon as the foundation was laid -- Netanyahu froze her home's construction (she lives in Ma'ale Adumim). IDF Spokesperson's office released for publication today, that last week, Palestinian terrorists placed a bomb alongside the Modiin-Jerusalem Highway, road 443. During routine patrols of the highway, IDF and border police found the explosive device and neutralized it before it could go off. In the enclosed instructions sheet in Arabic, the device is placed in a location designed to maximize damage to passing Israeli vehicles. "Following explosions heard on road 443 on 17.12.09, IDF and border patrol forces searched the area of the village Bir Neballah, south of Ramallah. 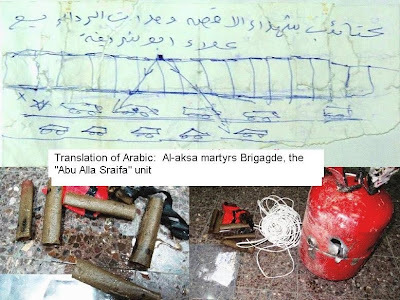 During the searches, the forces uncovered a roadside bomb, attached to the bomb was a note with instructions on how to use the device in order to cause maximum damage and a message attributing it to a Palestinian terrorist unit. Upon discovery, the device was detonated in a controlled manner by the bomb squad." IDF Spox. Note: The Al-Aqsa Martyrs Brigade is part of Fatah, and thereby, part of the Palestinian Authority. PS: I certainly hope this will not be discussed on the Modiin email list, because it took place outside of Modi'in, and as we all know, despite the worthiness of a cause, the Modiin list is not the proper forum for this posting. The Modiin list is only for postings that specifically have to do with life in Modiin. Let me preface this post by saying, I have lots of friends in Modi'in. Relatives as well. I think it's a relatively well-planned modern Israeli city. Rent and housing prices are on the expensive side, but it seems like a nice place. 2. The Sefer Torah that fell in Modi'in -- and the communal fast day afterwards. 3. Jews from Modi'in who enjoy signing Christmas carols in the public park. Hmm, were those all negative posts? I didn't mean for them to be. A Torah could fall anywhere...besides, keep reading. I'm not done yet with Modi'in. Normally, Modi'in is not part of my daily schedule -- I pass by it sometimes if I chose to drive that way to work. Its simply on the map. I posted earlier today a Public Service Announcement on behalf of a group of parents forming to create a religious hostel to care for autistic children in Israel. I also contacted people to please forward the message to different community email lists around Israel as well -- Efrat, Kfar Saba, Raanana, Nof Ayalon, Modi'in, etc., as this is an important issue -- especially for families that have autistic children. Every list I contacted, posted it. Posting of your message titled "religious hostel for autistic children"
to do with life in Modiin. Thank you for your cooperation." Tell me, if you are religious, live in Modi'in, and have an autistic child -- you wouldn't find this information, important and timely? You wouldn't want to know about options like this? Do you know that your email list is so seriously censored moderated, that a generic request to parents of autistic children is rejected for distribution because "The Modiin list is only for postings that specifically have to do with life in Modiin." What a blessed town Modi'in must be, that there are no autistic children living there, and they are not part of "life in Modi'in." Are there handicapped parking spaces in Modi'in? We wouldn't want to interfere with the idyllic life of Modi'in, by wasting parking spaces on handicapped people, would we? Tonight at the park -- Christmas Caroling Choir for autistic children! 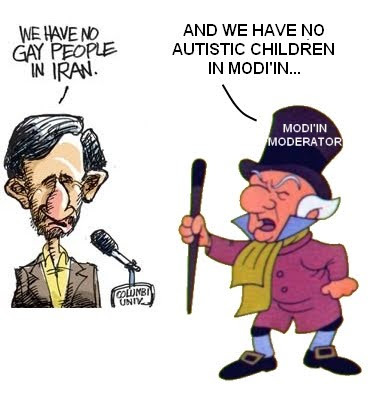 You too can prevent autistic children from wearing tefillin at Modi'in's mamlachti schools! Seems like Christmas caroling in the park is ok -- a message about a religious hostel (that won't even be in Modi'in, but can be USED by children from Modi'in) for autistic children is off-limits and inappropriate. Tell me Mister Modi'in List Moderator -- that's rather unChristmaslike of you, wouldn't you say? I expect that Santa will be leaving you a lump of coal this year. Group of parents forming to create a religious hostel for autistic children. We are a group of parents -- 48 families, of which 32 have already received authorization (or are close to receiving authorization) for away-from-home placement. If you have an autistic child and are considering an away-from-home option, or you are considering moving your child from a non-religious away-from-home framework , you are welcome to join us. We'll be happy to discuss all questions and inquiries. אנו קבוצת הורים המונה 48 משפחות -מהן 32 שכבר בעלות אישור להשמה חוץ ביתית או קרובות מאד לגמר התהליך. באזור המרכז עומד אי"ה לקום בית חם לילדים דתיים על רצף האוטיזם. אם ילדכם נמצא בקבוצה זו ואתם שוקלים להוציאו מהבית (או מעדיפים שיעבור ממסגרת שאינה דתית) אתם מוזמנים להצטרף אלינו. There are things that we hear that immediately bring out the skeptic in us. Things that make us say, ‘No way’, ‘It can’t be’. Whether it’s because of our upbringing, our sensibilities or our desire to push away anything painful, we immediately doubt its veracity and, having discredited it, we move on. Not until we meet someone touched by it does it become real. There is a phenomenon in Israel so unheard of, so hard to believe that most people think it’s a myth. But, I have met the young women- some as young as 14. I have met the people helping them. I have stood inside the shelter- and still it was hard to believe. The story of a boy charming his way into young girl’s heart is as old as time. However, this story has an added twist. In this story, the admirer is not as he appears. In this story, most of the young girls are mislead and begin the relationship unaware that their admirer is an Arab, looking specifically for a Jewish girl. Others are aware but are not concerned. But none expect to be abused and mistreated. There are literally hundreds of young Jewish women all across this country caught in abusive relationships with Arab men. Sara - He told me his name was Nati and that he was 26 years old. I was 21. I come from a family of 6 children whose parents are ultra-orthodox. At the time, I was working as a waitress and helping in an institute for Jews returning to Judaism. Nati took me to movies, wined and dined me, bought me all that I wanted. Within a few months I was in love. We had a great soul connection. After a while he said that he wanted me to meet his parents I agreed and so we traveled to Jaffa to meet them. We stopped in front of an Arab house, I was lost, and I could not believe that he could be an Arab. He had no accent and spoke perfect Hebrew. After my initial shock had worn off, I felt that I just could not leave him. Eventually, it came out that he had a trial going on against him for assault. He received three months in prison. It was then that I learned that his real name is Husan and that he was 38 years old, divorced and had three children. Still, I could not leave him. A week after he was released from prison we moved in together, I just could not be separated from him. My parents cried and I cried, still I stayed with him. My father called and asked that I not sit shiva for him. I wiped out all of my friends from my phone book, except for one friend who told me I was doing the wrong thing but that she was still with me if I wanted to talk. Months went by without talking to my parents. We began living like a married couple. He would buy me anything that I wanted and took care of all my needs. Back in Jaffa where his family lives, there are hundreds of Jewish girls living with Arabs. What was different in my case was that I was able to get along with his mother. The other girls told me that all their mothers-in-law cursed and abused them. After a year of being together, I received my first beating. I could not believe it. Husan went away for a week and I did not hear from him. After four days I called his mother, who told me: "You got a beating - So what? I get them and a lot worse all the time". He came back to me promising not to repeat the beating. I took him back but things only got worse. He made me leave my job and stay home. Now it was like I was in jail, staying home all day with nowhere to go. By now every other week I was getting slapped around, and afterwards he would once again wine and dine me, treating me like a princess. I was slowly losing my mind. Sara is just one of the hundreds of women who turn to Chemla. They come from all over the country- religious and secular homes, Ashkenaz and Sephardic, poor and wealthy families, in mixed neighborhoods and segregated ones. Estranged from their families and friends, these girls need a safe, hidden shelter. At our safe house, each girl is taken in with love and support and evaluated by Ministry of Welfare social workers. All needs are provided for. She meets regularly with a therapist, takes life skills courses, graduates high school, and completes a course in a marketable trade. Since its opening in 2002, 250 women have been rescued and rebuilt their lives through our program. The shelter’s director travels the country and lectures to auditoriums full of girls to let them know the things to look out for and how to say no. In over 15 years, she has helped over 1,500 young women. Parents do not know what is going on until it is too late. They never believe that the grocery delivery man, the builder from the apartment next door, or the boy in the park has convinced their daughter that he is something he is not. Our girls depend on Chemla and Chemla depends on the support of people who want to save these girls. The safehouse is full to capacity with 24 girls rebuilding their lives and currently has a list of those waiting to get in. Below are links to two articles about a woman rescued from where she was being held captive by her abusive partner. While this woman was older, and, being American was helped by her embassy, our girls are in their teens and alone and have no diplomatic ties- only us. Click Here and Here to read the articles. They say the wheels of justice turn slowly, but today's delay in a Tel-Aviv Courthouse was unexpected. The reason: A cockroach caused a panic in the courtroom, and the proceedings were abruptly halted. It all started out as a regular hearing on the extension of holding time for a suspect that was brought to court. During the proceedings, the court stenographer started to shriek. A quick check revealed her screams were not due to an escaped fugitive or a rather harsh sentence, but due to a brown cockroach under the frightened stenographer's desk. Even Judge Jilia Ravid, who is considered a rather hardened judge, fled the courtroom to her private chambers for 5 minutes, till the roach was apprehended and removed. The court policemen personally apprehended the roach with his bare hands, and bravely removed it's squashed corpse from the courtroom. source in Hebrew, Mako/Channel 2 News. The following 3 topics are not related, but all 3 of them are important reading. They may make you feel uncomfortable, so you're hereby warned in advance. 1. Chana (from The Curious Jew Blog) transcribed a fascinating evening last night at Yeshiva University, "Being Gay In The Orthodox World: A Conversation with Members of the YU Community"
Now more than ever I want it to be clear that this is as accurate a transcription as I could render but there definitely are parts that are missing. This is not verbatim. It is unofficial. It would be wrong to treat every word as divine. Any and all mistakes are mine. I would like to offer a forum for people to learn and to discuss, but not a forum for people to bash, malign or otherwise hurt others. Names have been changed and that is deliberate. Do not reveal the identity of anyone associated with this event; if I've changed the name it was purposeful. Do not quote from this article for any official purpose; contact the people who spoke if you wish to quote them. The subject of Orthodox Gay Jews is very heated, debated, criticized and shunned. "It’s not an occasion for debating halakha, for making halakhic suggestions. The halakha as expressed explicitly in the Torah and in the Chachamim is clear to everyone here. And this is not what we’re here to discuss and I’m making the point in the sense that if someone does try to discuss halakha, I will ask them to stop. It’s not appropriate in the context of what we’re doing. Secondly, as far as the various psychological theories and interpretations and shifts in the APA statements about homosexuality, again, this is not the forum for that discussion." 2. These was a lot of clamor this past summer when a Swedish newspaper published a slanderous article claiming the Israeli army kidnapped and killed young Palestinians to harvest their organs. That odious claim is patently false. However, Israel does have its share of monsters in the closet -- primarily Dr. Yehuda Hiss. Israel's military has admitted forensic pathologists once harvested organs from dead bodies - both Israeli and Palestinian - without the permission of their families. Four months ago Israel threatened legal action against a Swedish newspaper which published claims that Israeli soldiers had killed Palestinians to harvest their organs. But now, Israeli television has broadcast part of an interview with the former head of Israel's Abu Kabir forensic institute who has acknowledged pathologists did harvest heart valves, skin, corneas and bones from Israeli soldiers and civilians, Palestinians and foreign workers. Responding to the TV interview, the Israeli military confirmed the practice took place, but said it ended in 2000. There is no evidence to support the Swedish claim that Israeli soldiers killed Palestinians expressly for their organs. Everyone knew 10 years ago that Hiss was harvesting organs from everyone who ended up at Abu-Kabir. It wasn't against Palestinians...but directed at anyone unlucky enough to end up there. Jews, Christians, and Arabs alike. How Hiss remains at the Abu Kabir forensic institute is a mystery -- probably because he knows the truth about far too many things that certain Israeli politicians would prefer the public does not know about. 3. Israel is home for the Jewish people. Other countries may offer refuge or even a place to prosper, but at the end of the day, you may love New York, but Israel is home. That's what makes the following story so disturbing. Three years ago a family from Miami moved to Israel, realizing a lifelong dream. But today, their faith in the state lies in tatters, following what the family says is a litany of nightmarish abuses, blunders and oversights allegedly committed by police and the Prisons Service against their 17-year-old son. The family members, residents of Karmiel, asked to remain anonymous to protect their son from further suffering. Israel's police for the most part, is an embarrassment. Despite the extremely important work they do, the police are viewed with contempt by many. Police cars routinely (and illegally) violate traffic laws while not on official business. Israel's police views itself above the law -- and if you try bringing their behavior to their attention, expect a trip to a police station (at best). The above story is frightening, and people need to be aware that Israel's police can be extremely dangerous to a citizen's well being. Bad things can happen everywhere -- but its even more distressing when it happens at home. Today, Defense Minister Ehud Barak made good on his threat to punish R. Eliezer Melemed, head of the Har Bracha Hesder Yeshiva. R. Melamed had previously expressed support for soldiers who dared to protest against the use of the army to evict Jews and destroy their homes. After Barak threatened to retaliate by revoking the status of R. Melamed's institution as a Hesder Yeshiva, R. Melamed flip-flopped, and signed a statement along with all the other heads of Hesder yeshivot, condemning such protests by soldiers. Apparently, however, that statement didn't make much of an impression on Barak. In a speech today in Petah Tikva, Barak ignored the statement, and announced that he was ending the Hesder status of Yeshivat Har Bracha. Barak's actions here should not come as a surprise to anyone. R. Melamed deserves this. He abandoned his principles by signing a statement in which he obviously doesn't believe -- something that is almost always a misguided course of action, ethically -- and often practically, as well. R. Melamed tried to save the status of his yeshiva by sacrificing his integrity. As a result, he now has neither. He still has a small chance to salvage the former, and a few shreds of the latter, if he resigns. "a monopoly on the use of force"
It can hardly be gainsaid that these two points are actually the foundations of a fascist state. In fact, the second point -- the state's authority over the citizens -- is the very core essence of fascism. Old-fashioned, naive people such as myself once believed that democracy was the citizens' authority over the state. But apparently, we had it all backwards. "When a state reaches the place in which it needs to enforce the law on citizens, it has no choice but to use its army. This instruction must also be carried out and obeyed, this is the true basis of democracy." There you have it: The use of the army against a state's own citizens, and the resulting imperative to obey orders, constitute -- according to Ehud Barak -- "the true basis of democracy". Barak has not only outlined the core principles of fascism as his model for how our state should be run -- he also has the shameless, unmitigated gall to label it "democracy". 1. 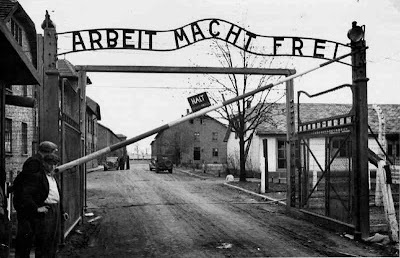 Auschwitz "Arbeit Mach Frei" Stolen Sign Recovered in 3 pieces, 5 arrested. Poll: To the question "Who are the Maccabees of our day? ", 55% responded "the settlers," 20% chose the social activists, 13% chose IDF officers, 6% chose members of Knesset, and 6% chose environmental activists. In an analysis of those who chose the settler response according to religious affiliation, shows 50% of haredim, 51% of the seculars, 58% of the traditionalists, and 69% of the religious believe that the settlers are the modern-day Maccabees. And who are the Hellenists of the 21st Century? Thirty percent believe "those who insert words from foreign languages into Hebrew or those who name their children Latin names." Some 28% said that those who want to make money at any price are the modern-day Hellenists, while 26% said people who are brand-conscious. Another 16% responded that people who watch a lot of television are manifestations of modern-day Hellenism. 3. Scribe ascends Masada to write Sefer Torah -- will be viewable by webcam. He'll come down in the evenings and for Shabbat/weekends, but will be up there the rest of the time, writing a new Torah Scroll. 4. The Arad Hesder Yeshiva announces it is leaving the "Association of Hesder Yeshivot" in protest over Defense Minister Barak's attack on the Har Bracha Yeshiva and its leader, R' Melamed. R' Yinon Ilani, head of the Arad Hesder Yeshiva said that his yeshiva would leave the "Hesder" framework and look for an alternative. 8:52 AM Reports saying boys entered Egypt on intentionally for an "adventure" before entering army. They were arrested by Egyptian police upon crossing over - leading to the concern that they were kidnapped and forced into a car at gunpoint. 7:52 AM (12/22) IDF censorship over on incident in South. Two boys on bicycles riding near border entered Egypt. There was concern that this was another kidnapping attempt (parts of the story are still unclear, including a version that they were forced over the border and into a truck). Egyptian army returned the boys at 3AM at Kerem Shalom border crossing. There was concern that this was a kidnapping attempt that would blow up the Shalit deal. 10:53 PM Due to the media blackout by the IDF military censor, I can't tell you about the incident going on now on the southern Israel/Egypt border. Needless to say, it could have "affected" the Shalit/Hamas talks now, but apparently the incident is being wrapped up now, and the ending isn't bad. You'll see more about this later tonight. Meanwhile, Israel's media is ratcheting up the pressure on PM Netanyahu to make the deal, release the terrorists regardless of the price, and get Shalit home. The JPost posted an editorial a few minutes ago...and I'm posting the last few paragraphs from the point I find most poignant. And with the absolute sincerity of an alcoholic having one final drink before going cold turkey, the government will assert that the Schalit deal will be Israel's last lop-sided prisoner exchange. A deal will buttress what Palestinians already believe, that Israelis understand only force. Tomorrow's Palestinian leaders, therefore, will be that much more obdurate. It will become still harder for a credible Palestinian leader - no matter how ostensibly moderate - to abjure violence. Stopping on a dime will mean that the pundits and politicians who orchestrated the campaign that took matters this far will have some explaining to do. If Netanyahu does pull back, it will be because Israelis were bluffing ourselves as much as we were bluffing Hamas. A "no" now would take Hamas down a peg. Netanyahu could directly address the Islamists' disappointed constituents, emphasizing that meeting Hamas's rapacious demands would have dishonored him and caused Israel to lose face. Palestinians will understand that. So will Israelis. He should frankly acknowledge that he was ready for an honorable deal. Indeed, he must stress that he remains ready for an honorable deal. THE HARROWING ordeal of Gilad's selfless parents touches us all. Their son has become our son. Nevertheless, Netanyahu must reverse course. The killers should remain incarcerated; if they don't, more Israelis will surely die. With the sincerity of a teenager that next time, he'll really be home on time. Who is the government trying to fool? The Palestinian Authority has mysteriously canceled the first ever Palestinian Beauty Contest just 5 days ahead of the planned competition -- the official reason being given is that it conflicts with Palestinian commemorations of the "Cast Lead" operation, though word on the street is that the swim suit competition was the real reason behind the cancellation. The contest, slated for December 26 will not be held. 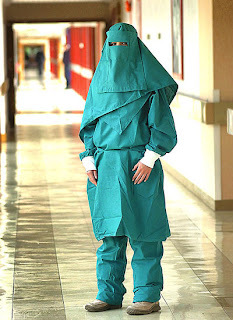 The PA expressed concern that the suit suit competition would be immodest, leading to pressure on the organizers, while the organizers claim there wasn't even supposed to be a swim suit competition, and the PA is simply upset they didn't get a financial "piece of the action." The Palestinian "street" also attacked the contest, with PA media outlets depicting the event as a scandalous outrage. On some Palestinian websites, photos of Palestinian suicide bombers were replaced by the contestants. The contest, slated for December 26, has been officially canceled. Contestants were supposed to have arrived from Gaza, the West Bank, and Israeli Arab women -- and this was to be a preliminary contest for entry into the "Miss Universe" contest. Kudos to Ali Waked from Ynet for the scoop. Talkbacks claim the real reason for the cancellation is a lack of contestants. Bethlehem – Ma’an – After a wave of criticism, the finale of the first-ever Miss Palestine pageant has been postponed indefinitely by the Palestinian Authority. The statement said the decision was made out of respect for the anniversary of the onset of the Israeli war on Gaza, which will be marked on 27 December. The Miss Palestine pageant generated controversy when it was announced by the Trip Fashion Company earlier in December. Islamist politicians denounced the competition as not in keeping with traditional values. The project originally had support from the Palestinian Authority. Officials from the ministries of Information and Culture were to help judge the contest, its organizers said. Actually, its not the Israeli government deciding Gilad's fate, since ultimately, Hamas decides what will happen to Gilad. Netanyahu's strategic cabinet of 7 is currently taking a lunch break from a marathon of sessions over the past 24 hours dealing with the proposed Hamas-Shalit prisoner release deal. Galei Tzahal, IDF radio reports that PM Netanyahu is currently against the release and return to their homes in the West Bank of senior Palestinian terrorists who ruthlessly and intentionally killed (and masterminded the killings) of dozens of Jews -- including civilian men, women, and children and infants. Reportedly (again, according to IDF Radio), 3 ministers are in favor of the deal; Defense Minister Ehud Barak (Labor), Eli Yishai (Shas) and Dan Meridor (Likud). Against the deal are Avigdor Leiberman (Yisrael Beiteinu), Benny Beigin (Likud) and Moshe "Bogie" Yaalon (Likud). Shalit's parents met with PM Netanyu minutes ago -- as he wanted to hear what they had to say. This decision is without a doubt, one of the most difficult decisions a government can make. 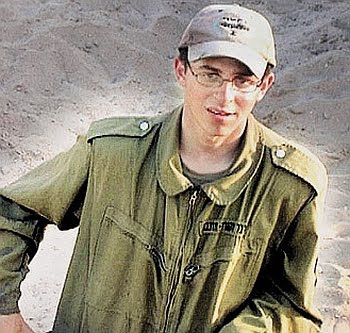 PM Netanyahu was asked a few years ago (before he was the current PM) "Knowing your published opinion of not negotiating and releasing terrorists, what would you do if it were your son who was kidnapped as an IDF soldier?" Netanyahu answered: "As a parent, I would do all possible for my son to be returned. as the Prime Minister, I would relinquish the responsibility for making this decision to an unbiased party, someone else in the government." Chances are, if the senior terrorists are released (Marwan Barghouti and Fuad Shubaki), we'll see a rise in terror again, and more Jews; IDF soldiers and civilians will be killed. Srugim Season 2 -- The Promo! Coming soon...Srugim Season 2. Click the link below to see a promo for the first episode. 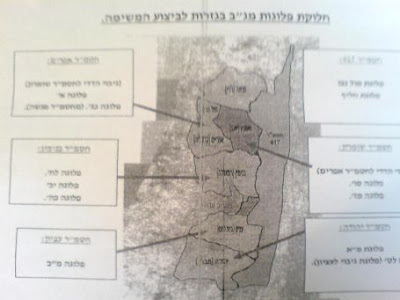 A secret 17-page IDF tactical document was leaked to the press that detailed how the IDF plans to use "paralyzing force" against settlers who are protesting the damage and destruction of our communities by the government. 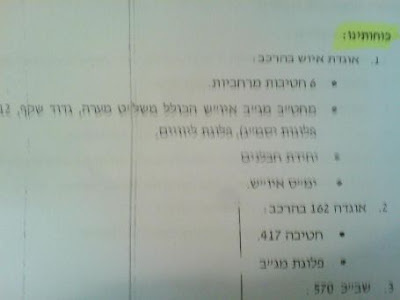 The document describes the use of the Air Force, the Shabak, and other forces, as well as banning reporters from the scene, complete lock down (curfew) on all Jewish towns in the area, and disrupting vital services to the communities under attack. Meanwhile Gilad Shalit can sit in Gaza forever before the army and government would consider cutting off any vital services to Gaza. 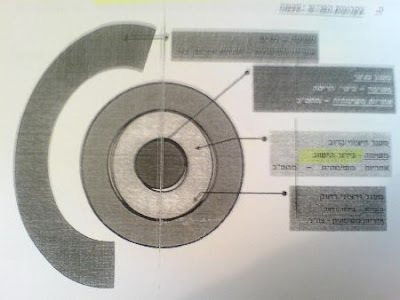 More photos if the document can be seen on the Arutz-7 Hebrew site. Did you pack that Mac? American Jewish blogger lives in Arab country. Has anti-Jewish photos on camera. Has anti-Israel photos on camera. Has hand-written map of Jerusalem in bag. Has Arabic stickers on Mac (not PC) laptop. Has Arabic keyboard on Mac. Has Palestinian booklets in bag. Has apparently cocky attitude. Blogger believes that Israelis shoot Palestinian children every day. Really. 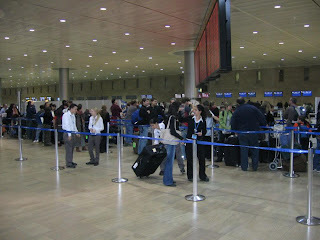 Blogger goes to Israel border to enter Israel. Guards see handwritten map of Jerusalem with central bus station marked off, guards see anti-Israel photos, guards see Arabic stickers stickers on laptop American clearly purchased/received in Arab country, guards see passport stamps from enemy countries, guards see indications of terrorist or terrorist dupe. Guards think, did naive or anti-Israeli American receive Mac from terrorist in Arab country, given map describing where to bring it? 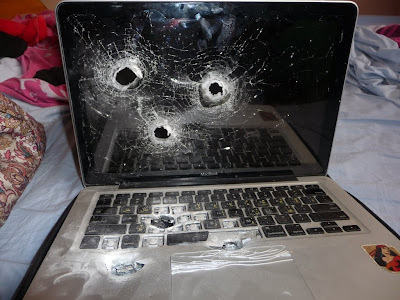 Blogger carefully separated from Mac. Blogger told to wait, but then wanders off without Mac, leaving Mac unattended. Mac shot by bomb disposal unit - SOP for highly suspicious objects. I suspect that it was the Mac map that made them suspicious. Conclusions: This story should be publicized to show the efficiency, alertness, and wariness of Israeli border security. It will help discourage attempts to smuggle in bombs through naive American tourists. It will help discourage anti-Israeli naive tourists from visiting Israel. Can you trust this poll?